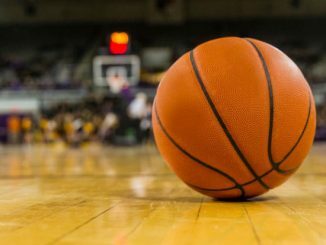 On Tuesday night, the West Virginia Mountaineers will face off against the Florida Gators at Madison Square Garden in the SEC/Big 12 showdown. Both of these teams have not lived up to expectations so far this season. West Virginia entered the season ranked 13th in the nation but have lost to Buffalo and Western Kentucky. Florida has a lot of returning players last year and were expected to have a strong season, but have lost to Florida State, Oklahoma, and Butler. The Mountaineers have won four straight and are coming off a 106-72 demolition of Youngstown St last Saturday. In that game, West Virginia had six players score in double figures, including key returners Esa Ahmad, Sagaba Konate, and Lamont West. West Virginia hasn’t faced any tremendous competition other than Buffalo, who they lost to, so this will be a good test for the Mountaineers. 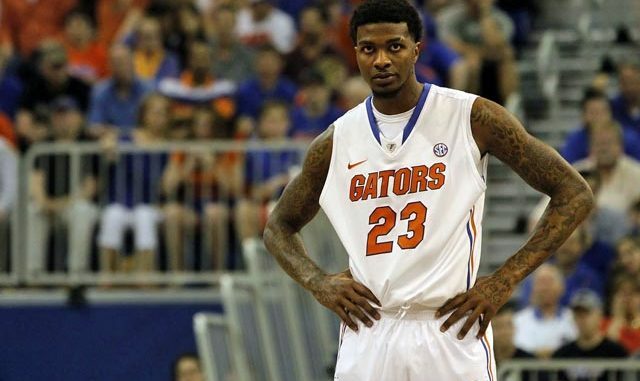 The Gators had their own blowout win their last time out, a 98-66 victory over North Florida. Florida also had six players in double figures, including Keith Stone, Kevarrius Hayes, and KeVaughn Allen, who all played key roles for Florida last season. Jalen Hudson was expected to have a big year after being a top scorer last season, but he has not started the last three games and has seen his role shrink tremendously. West Virginia is usually known for its stifling defense, but the offense has been the side that has been winning them games so far this year. The defense is allowing 76 points per game this season, which is unusual for ‘Press Virginia.’ The offense has been putting up 86 points a game, led by lone senior Esa Ahmad with 16.6 points per game. He is followed by juniors Konate and West, who average 14.8 and 13.9 points, respectively. Florida, on the other hand, has been doing it with defense. They are only allowing 62 points per game but are also putting up only 72 a game. Their defense will have to come up big to stop this West Virginia team that has been firing on all cylinders offensively. Florida only has one player scoring in double figures, and that is sophomore Deaundre Ballard with 10.9 points per game. Their next highest scorer is senior point guard KeVaughn Allen, who was supposed to be the leader of this team after having a strong junior year. Florida comes into this game as a 1.5-point favorite. Even though West Virginia has not been its normal self on defense, they should be able to slow down a Florida offense that has been horrendous all season long. 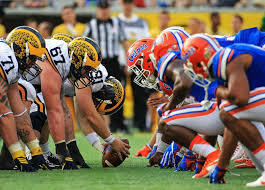 The defense will cause troubles in this game and force plenty of Florida turnovers. The Mountaineers offense will do what they have done all season long and put up a good amount of points. Take West Virginia and the points in a game that the Mountaineers should win outright.